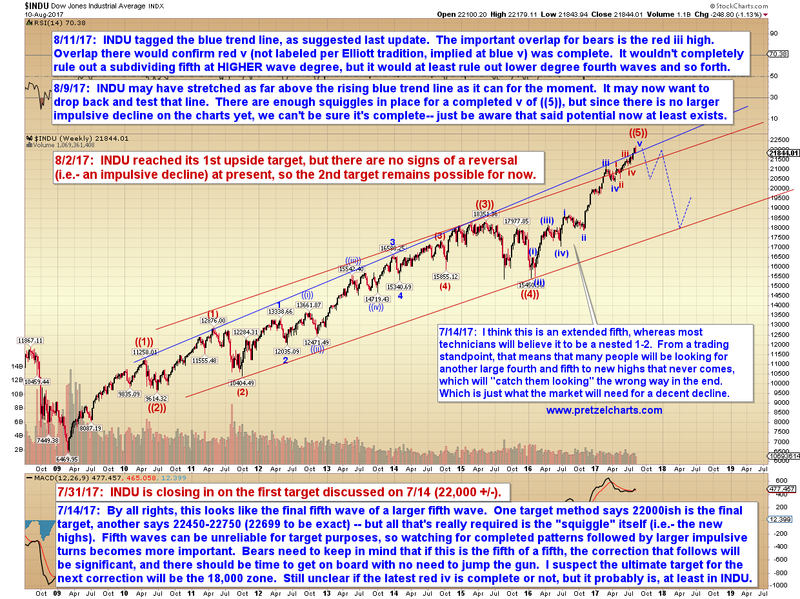 In the bigger view, INDU has reached the blue trend line, and this represents an inflection zone. 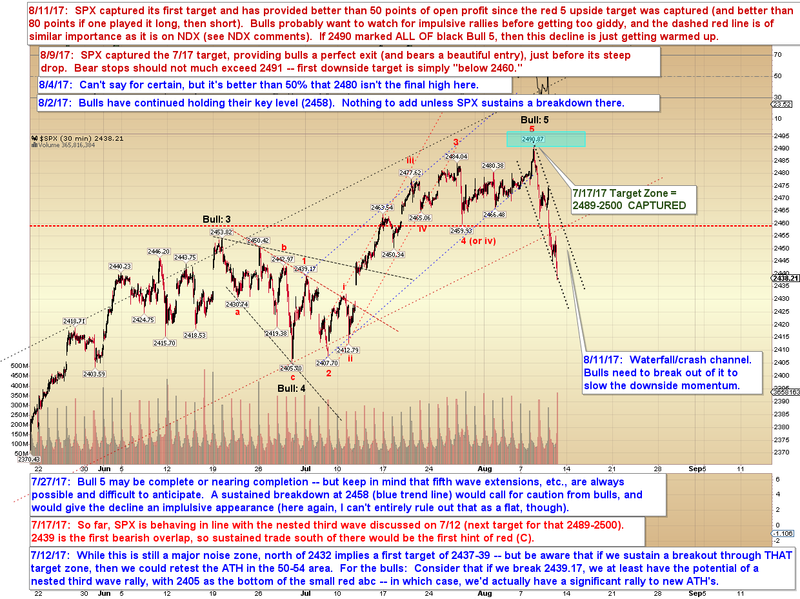 Bulls are going to attempt to defend this zone, so bears should be on alert for bounces. And until red iii is overlapped, we can't be certain that red v is finished. 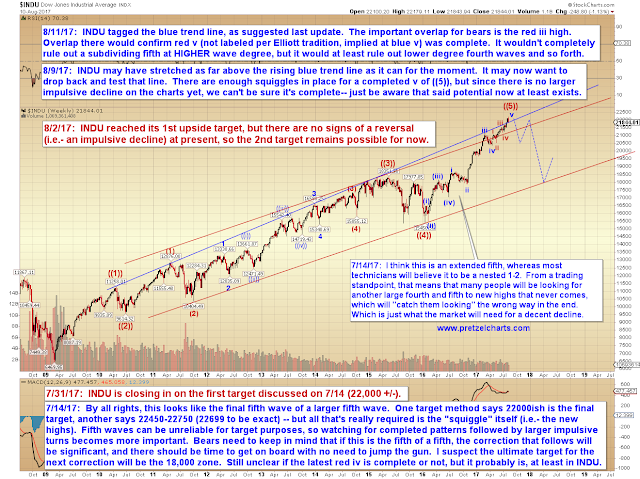 In conclusion, bears have had a nice week, and should take care not to screw that up. 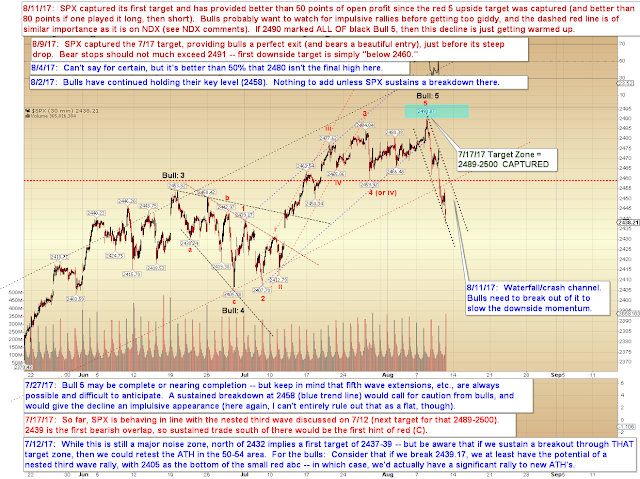 INDU has tagged support and NDX is sitting in an ABC inflection zone, and it's not unusual for such inflection zones to generate short term bounces even if the prevailing trend is still down. To the upside, bulls need to sustain a breakout from the crash channel, and we have a resistance zone to watch at the dashed red pivot line on NDX and SPX. Those signals (or the lack thereof!) 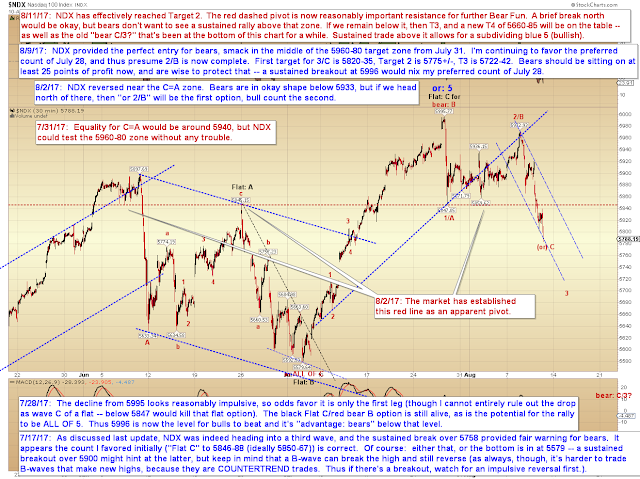 should provide our next clues, and hopefully keep us pointed in the right direction Trade safe.